Speed! is the best educational app ever! 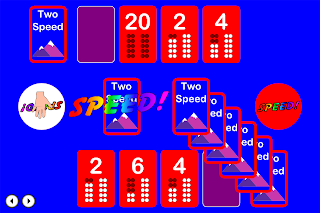 It's a skip-counting card game designed to help kids with multiplication. This topic of the Help Series feels like it was made for me. My husband created this app and I created the physical version of the game. The full Version is only 99 cents so be sure to check it out! We have two iPads and five computers to support our household of five people. Our first iPad was purchased for my husband to develop Speed! but we found it very useful. Many of these devices are in continuous use, but are rarely used for games. We live in an electronic age and computers are our main research tools. In my opinion apps and websites geared for children can be very good for teaching and reviewing well defined and focused skills such as reading, typing and mathematics. 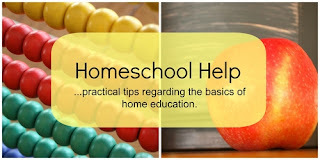 Occasionally the kids play educational games but the games are not the primary teaching tools. Listening to audio stories, communicating via email, and watching educational videos are the main draws for us. Here are some of the ways we use our iPads and computers. Listening to audio stories is the way my kids most frequently use the iPads. We have downloaded several free stories from Librivox into iTunes. To download stories I visit the iTunes store on my computer and search for "Story Title, Librivox" or "Author Name, Librivox". The chapters come up separately so I download each one individually. Then I create a playlist in iTunes with the same name as the book and put all the chapters into the playlist so they can be sorted by chapter number. After the entire book is downloaded I plug in the iPads, and iPods into the computer to sync them up. Sometimes the kids just listen, but more often, they turn on a story while they work on a craft. My husband uses the iPad almost every day to watch videos while he exercises. He is currently into the Modern Marvels Engineering Disasters Series. We have downloaded tons of electronic books through the iTunes store and have read a few of them. eBooks are so convenient for travel, and we are starting to read them more at home. Occasionally the kids play educational games on the iPads. I have blogged about some of our favorites. It seems to me that the majority of educational games are targeted for kids ages 4-9. As I said above, they are great for learning things such as letters and basic math skills. In addition, I think they are good for encouraging thinking through puzzle solving. I would love to hear about good quality games that teach higher level skills. Related to this is the Homeschool Help Group's Best Free Resource topic. Several free websites were mentioned in the posts, so if you missed it, be sure to check it out. Here's what other bloggers had to say about using iPads and computers for education. The Help series is about to go on break. The posts will pick back up at the beginning of August with What's New in the Curriculum. In the mean time, I will be blogging through the summer so please stop by and visit. 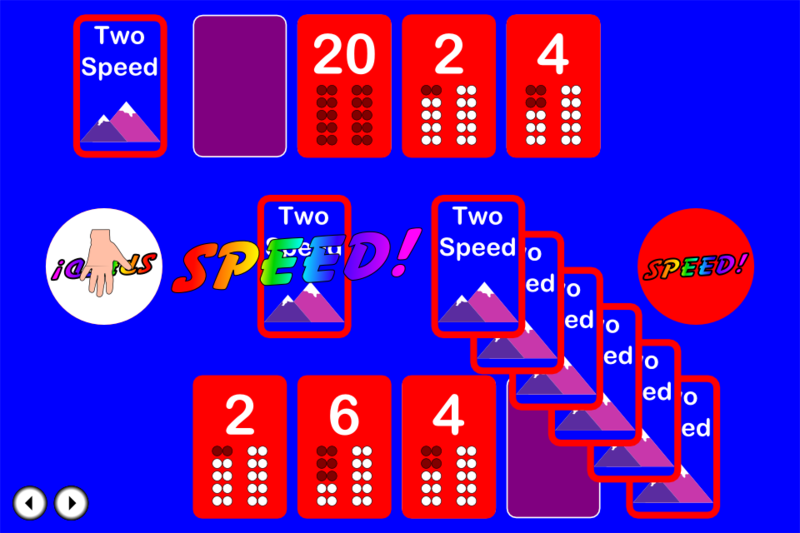 Android - We have received tons of requests for an Android version of Speed! It's in the works and there will definitely be an announcement when it's available, but I'm not scheduling a date. We live in a busy house. Thanks for the tips about getting Librivox stuff onto the iPad too, I'd been wondering about the best way to do that. I meant to reply after your comment on my recent iPad post (but I just realized I never did this), that we do have the Speed! app. My daughter just told me that she plays it fairly often during her math-related iPad turns. I forgot about it while writing my post because I didn't have the iPad nearby and for some reason I guess not all my apps that are on the iPad show up in itunes on the computer (I still can't figure out why!). Speed looks like a really fun app! Thanks for linking up all the interesting ways you use iPads. I love using the iPads for downloading stories-- it's really a very nice way to listen to a story!